Right in the heart of the city center, this new hotel has great tram connections, making it easy to get around for business trips or family weekends away. The hotel is 5 minutes from the train station by bus (route B) and 20 minutes from Clermont Ferrand Auvergne airport by taxi. Lastly, relax and unwind at the panoramic bar, in the fitness center or in your room - some rooms offer a magnificent view over the Place de Jaude. The Opera, the Galeries Lafayette, the Jaude Centre - so many pleasures are on offer to you just a few steps from the hotel. Will be delighted with the uninterrupted view of the Puy de Dôme and with the gastronomic restaurants of the Auvergne! Three fully equipped seminar rooms (fibre-optics, high-quality audio/video equipment), lit with daylight, business corner - this Mercure hotel is in particular ideal for business stays. 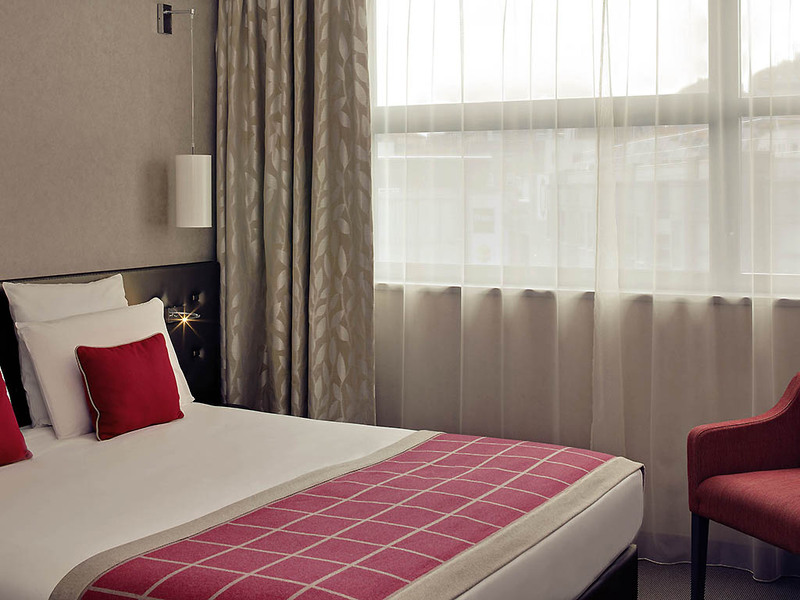 Enjoy our quiet and spacious non-smoking rooms, with bedding especially designed for taller people. Choose our Privilege Rooms for even more comfort and services. The bright and inviting Lounge Bar is the ideal place to relax and enjoy a drink or a snack in friendly surroundings.